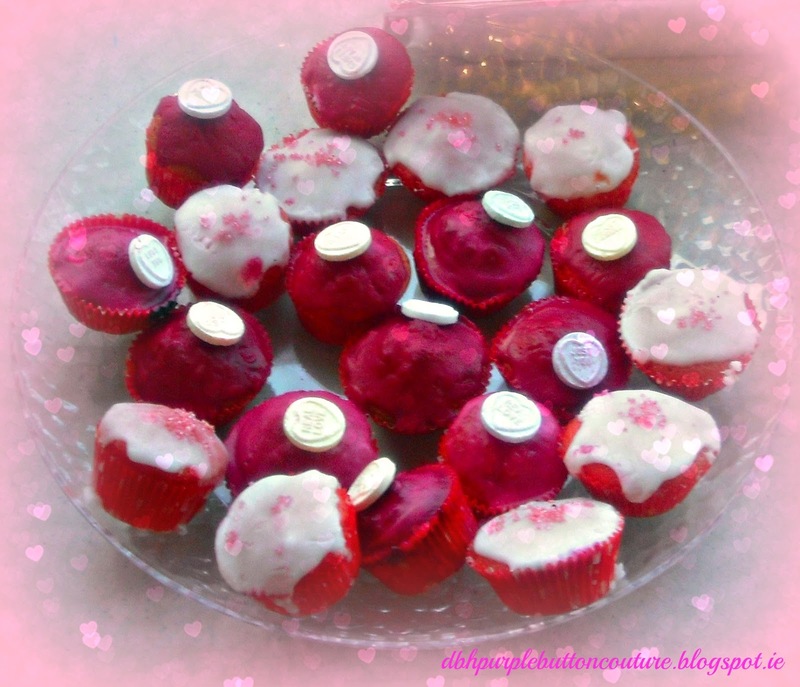 I know I did a Valentines recipe post yesterday but as I said any reason to bake!!!! Now this is a Galentines post!!! 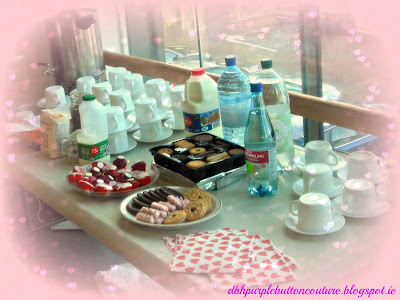 So we had a little Valentines Day Themed Tea Party and Crafty Day!!!! I baked some cute mini cupcakes! Using the Odlums recipe here, but I added some red food colouring to make them "Valentinesy"
Bake in a preheated oven at 160C for 12 minutes or until a skewer comes out clean. I iced these more like fairy cakes or buns using icing sugar and a tiny drop of water and food colouring. 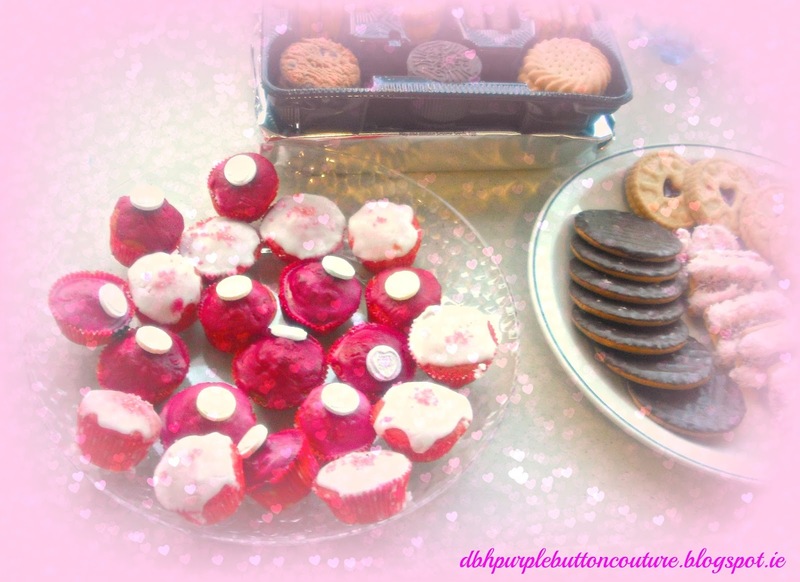 I topped them with some pink sugar on the white ones and "Love Heart" sweets on the pink ones! I was looking for some Valentines biscuits so I choose Jammy Dodgers as they have hearts on them! Some Mikado as they are pink and some Chocolate Digestives as everyone loves chocolate! We had a box of Family Circle too and some Celebrations! While in Tesco I picked up these cute love heart napkins for €1.50!! We had a great day opening our exhibition, crafting, eating cakes and biscuits and drinking tea!!! Hope you have a great Valentines however and with whoever you spend it!!! Only made... said she!! Stuffed French Toast and chocolate dipped strawberries is loads!!! But a proper tea party with one of those 3 tier stands would be amazing!!! !